1. How can spot-clean stubborn areas help you to clean your carpet? 2. How can review different machines rentals help you clean your carpet? 3. 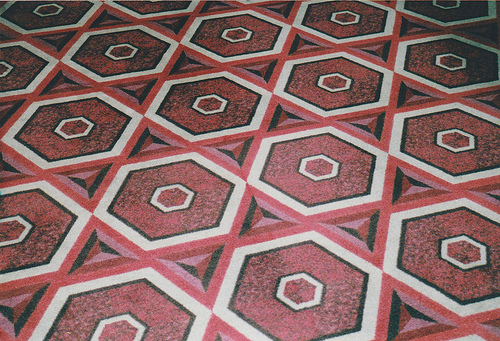 How can you ensure that you don’t ruin your carpet while cleaning? 4. Why don’t over saturate your carpet while cleaning? 5. Why never get the carpet too wet? Whether it’s stubborn pet stains or spilled Kool-Aid, chances are your carpet could stand a good cleaning. Many people turn to the professionals for this job, but you can save a lot of money doing it yourself. However, you do need to follow a few tips to ensure that your carpet not only comes clean, but dries. The truth is that getting the carpet too wet can not only cause mold, but may cause your carpet to shrink and tear away from the sub-floor. Thankfully, there are tips you can use to ensure that doesn’t happen. Here are a few tips on how to properly clean a carpet and make sure it dries. Before you break out the big machinery, it may be easier to spot-clean stubborn areas. This will help ensure that they not only come up after the final cleaning, but that you don’t accidentally over-saturate the area trying to get the stain to come up. There are a number of great products for spot-cleaning, but your best bet is to start with a paste made from vinegar and baking soda. This is not only natural, but safe as well. It pays to read reviews on the types of carpet cleaners that are available to rent in your area. The truth is that some are better than others. This is also a great time to read reviews on carpet cleaners to purchase. Just remember that you want a cleaner that does a great job and allows the carpet to dry in the shortest amount of time. Once you get your cleaner home, you need to read the instructions and then read them again. This includes the instructions on the cleaning products to be used. This will ensure that you get the carpet clean and that you don’t over shampoo or saturate the carpet, both of which can ruin your carpeting. Last, but not least, one of the biggest mistakes many people make when cleaning their carpet is to over-saturate the carpet to the point that the backing and padding get wet. This is almost impossible to dry and can cause mold, discolor your carpet, and may even cause it to shrink. Always err on the side of caution when it comes to putting water on your carpet. Cleaning your own carpet can save you a lot of money. Unfortunately, it can also cost you a lot of money if not done properly. Remember to always read the instructions on cleaners and machines before beginning and never get the carpet too wet. About the Author: Kendrick Monsalve is a flooring specialist who deals with carpeting, hardwood flooring, and mostly bamboo flooring. He enjoys helping homeowners pick flooring options that match their tastes and personalities, whether it’s a plush rug or a shiny hardwood floor!